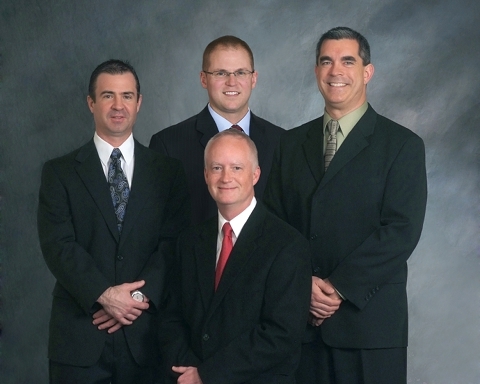 Hastings Radiology Associates has a long history in central Nebraska and north central Kansas. Our founder, Dr. Warren Richard, began Hastings Radiology in 1952 at Mary Lanning Memorial Hospital in Hastings, NE. He was also the X-ray technologist. After several years he began a school for radiographic (xray) technologists which is thriving today. He was also the first radiation safety officer in central Nebraska, assuring that the radiation technologies were used properly and safely. Dr. Russel McIntyre would later join Dr. Richard, shortly followed by Dr. Lawrence McKinnis. These three radiologists were the founding fathers of radiology in central Nebraska. They were also the only radiation therapists in the area. Dr. Jerry Adler and Betsy Rapier would subsequently join the practice until retiring in the late 1990s. The two current senior partners had the privilege to work with Dr. McKinnis and form the direct lineage back to Dr. Richard. Even in retirement, Dr. Richard would stop in and check on Dr. Herold and Dr. Rodriguez and quiz them about radiology technique. The practice saw the complete evolution of radiology: from the early days of plain radiographs developed in a dark room and hung to dry, red adaption goggles for fluoroscopy, angiographic catheter construction, pneumoencephalograms, direct puncture bronchogams, direct aortic and carotid artery punctures, rectilinear nuclear medicine camera imaging, and cobalt radiation therapy. Today the practice has worked in conjunction with local hospitals and clinics to stay on the cutting edge of technology such as high speed 64 slice CT, Echo speed 1.5 tesla MRI, high resolution ultrasound machines, digital subtraction angiography, Breast MRI, Image guided spine injections, and lasers for varicose vein ablation. Hastings Radiology was the first practice outside of the Omaha/Lincoln area to acquire full-field digital Mammography and to perform MRI-guided breast biopsies. Our mammography service was the first one outside of Omaha to be recognized as a Breast Center of Excellence in the state of Nebraska. The radiologists at Hastings Radiology are your experts in imaging, radiation safety, and compassionate care.